"I am a cow... this is my naked body... a water buffalo...". With this strange confession a young woman leaves her boyfriend behind. Flower shop owner Yu sees himself confronted with a mystery. After his girlfriend disappears, he travels back to his old home in a southern Okinawa island and on his search for answers visits the family of his brother Akihiro, who works as an insect researcher. In one of their conversations Yu learns something about a strange sea moth, the "Cowmoth", in which his girlfriend, in dreamlike visions, starts to transform. Directress Asagi Kimura was born on the island of Okinawa and graduated from the Osaka University of Arts. After her graduation film Uroko No Nai Sakana, a documentary about the lives of two women, she has now created her first feature film Hizume, which premiered at the 13th CO2 Film Festival 2017 in Osaka. To give her debut a special semi-documentary look, she used a 15 year old video camera. With this, Kimura has succeeded in creating enigmatic images of archaic power. 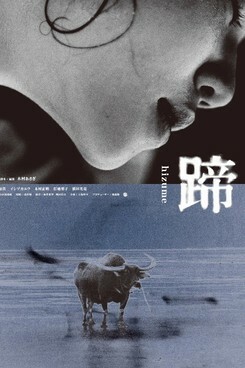 Shot in Okinawa and the Yaeyama Islands, the wild coastal landscape becomes a leading actor. Hizume wurde auf dem 19. JFFH 2018 gezeigt.